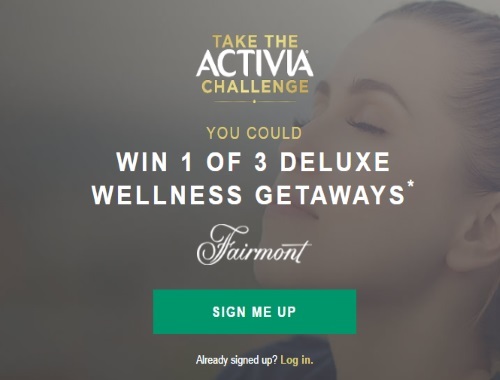 Take the Activia Challenge is improve your health and also for a chance to win their contest! Win 1 of 3 Deluxe Wellness Getaways from Fairmont (valued at $1650). Contest closes February 20 2017.